When Crystal Ponti from MommiFried reached out to me last summer, I didn’t know what I was in for. I signed up to write a story for a book. In the process, I received so much more than just becoming a published author. (Although it is pretty great!) I met a group of women who are extraordinary. Not only did I find myself in the company of amazing writers, I also was surrounded by new friends! When I told the group about my featured post on BlogHer, over 10 comments suddenly appeared on my post! I’m so grateful for their support! Support is what our book, The Mother of All Meltdowns, is all about. We’ve all had our share of meltdowns, and we share our stories with you in our tell-all book. 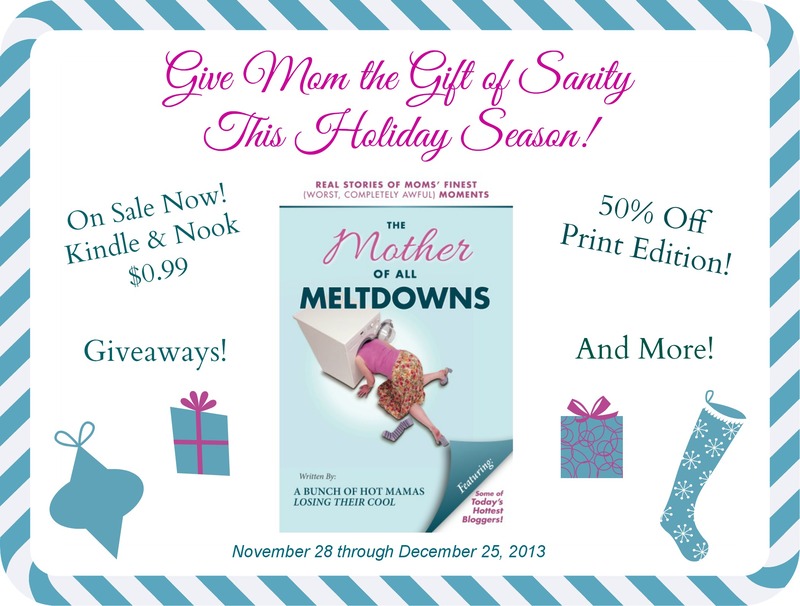 The Mother of All Meltdowns makes a great gift or stocking stuffer, and can help moms feel connected, normal, and understood. All moms deserve the laughter, validation, and moments of “Me too” this book provides! Just $0.99 for Kindle and Nook editions! EXCLUSIVE OFFER! 50% off the print edition! Visit our CreateSpace store here. Enter your title access password: moam123 and use coupon code 75N5ZSBR when you order! Weekly giveaways until Christmas! Subscribe to our blog (just enter email address where it says Connect with us!) and enter to win a free copy of the book or your very own Cocktail Party on Christmas Day! Winners will be chosen at random on Wednesdays (December 4 through 25)! Please share this sale with your friends, family, and colleagues! Or treat yourself and purchase your own copy of the book! 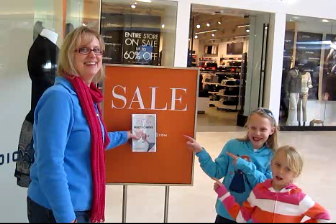 Ha – love the photo opp with your daughters! I’m so thankful I met you and so many other wonderful women through this book project, Ginny Marie. And I read your post from yesterday too. Yes, we should be so thankful for our children. There are so many women who want them desperately – how can we take that blessing for granted? Dana recently posted…Ask Away, Tamara! I’m so grateful to be a part of MOAM too! What a wonderful community Crystal has created. Love your photo! tamaralikecamera recently posted…Laughter and Meltdowns.